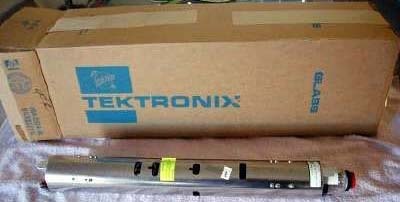 Get this TEKTRONIX CRT TUBE that is still new in the box. We opened the box to take the picture. We think that it fits the TEKTRONIX 7912AD analyzer. It may fit other analyzers as well. The tube type number is 7910. The part number is 154-0698-00.